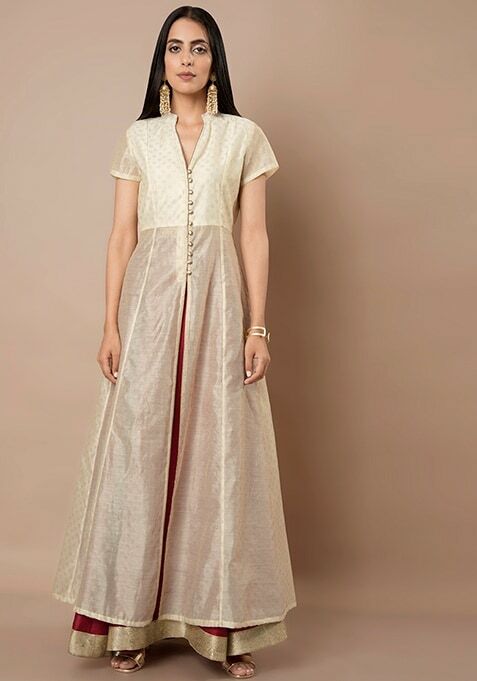 Make your ethnic look extraordinary by wearing this ivory jacket tunic that is party perfect. Features polka foil and gold fabric button details. Work It: Style this tunic with maroon cigarette pants and complete your look with gilded heels.